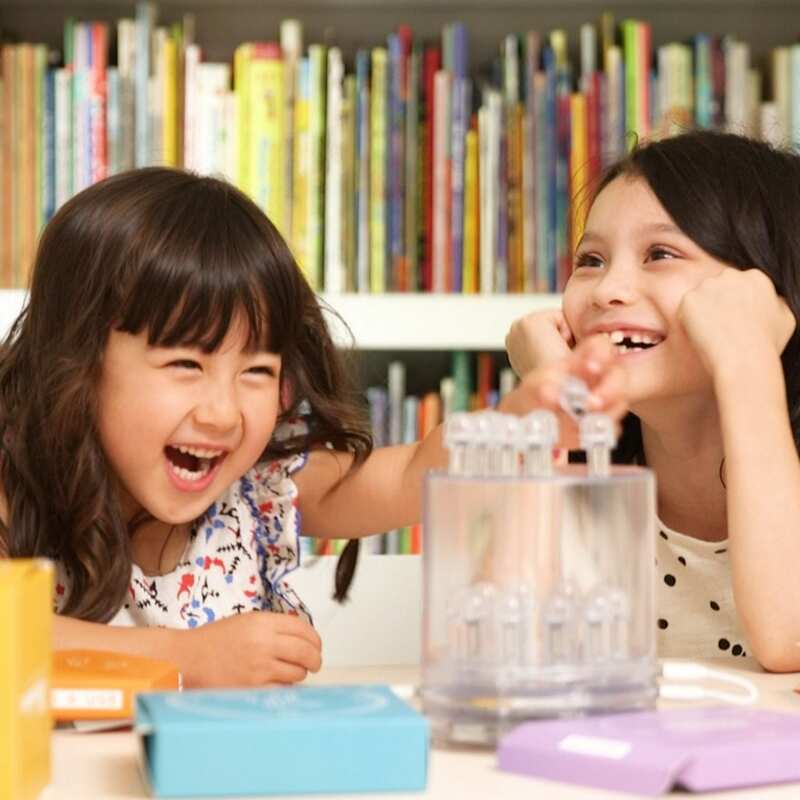 Build-Your-Own Luci Solar Light Kit is fun, interactive and encourages STEM learning. 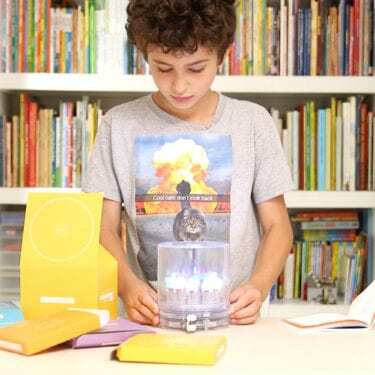 Kids can use the kit to create a solar light panel. 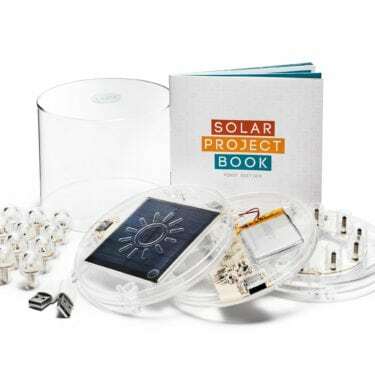 Comes with a 59-page Solar Project Book with instructions, trivia on solar light and electricity and sample experiments to try. Kit includes 1 top cover, 1 battery, 1 light board, 16 LED light pegs, 2 USB cords to connect it all together. Once assembled, kids will have a 5.6″ (h) x 5″ (diameter) rigid Luci light with 4 modes (low, medium, high and flashing), 75 lumens that can last up to 24 hours. It can be charged in 7 hours in direct sunlight or via USB cable in 2-3 hours.